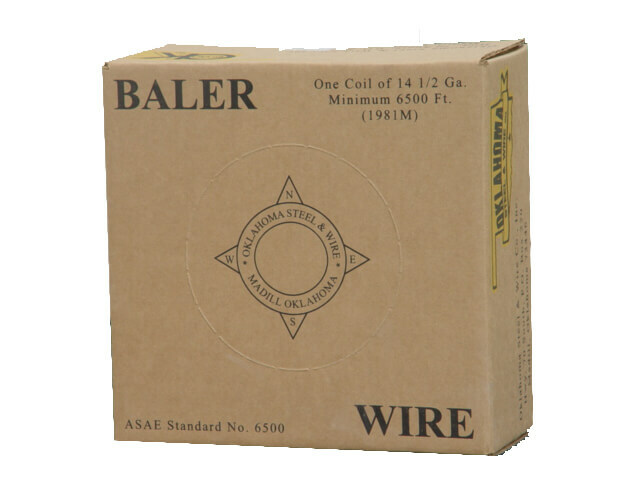 OK Brand Premium Baler Wire is manufactured from the highest quality 14.5 gauge annealed wire and meets ASAE standards. 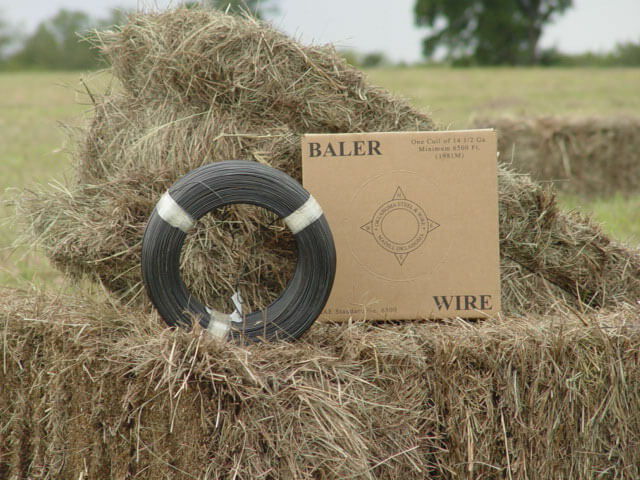 Baler wire is packaged in rolls of a minimum of 6,500 linear feet. OK Brand Premium Baler Wire is built for dependability, from the quality of the wire to the strength of the box. A well-maintained level winding system and high-grade lubricants allow for a tangle-free payoff and rust-resistant wire. Banded with nylon tape with the starting end marked, this quality wire is placed in a specially designed wax-coated box. The wax coating prevents the wire’s lubricant from bleeding through, which helps maintain the box’s structural shape and durability. A perforated center knock-out is placed and sized for optimum payoff. The box dimensions are designed to accommodate most balers.